Your dental insurance is a valuable asset that benefits both your wallet and your smile. Your policy’s focus on preventive care can help you conquer oral health problems before they start. It is also there to assist you when you need restorative care from your dentist in Allen. The professionals at Advanced Dental Care are experts at handling dental insurance, and we are happy to work with the vast majority of coverage providers. Let us help you navigate your plan so you can get as much out of it as possible. Dental implants: Sometimes covered. Coverage rates vary. 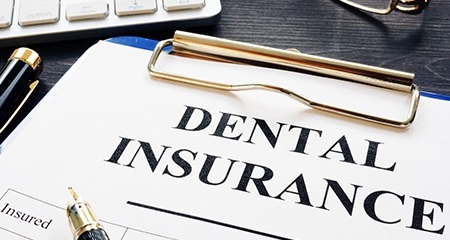 Many dental insurance plans also include an annual maximum (the most that the insurance company will pay out for treatment within a year), a deductible, and a waiting period before you’re eligible to receive certain services. Dental insurance has a strong focus on preventive care and on fixing relatively small dental problems, although it does kick in to provide help with some major services. Medical insurance, on the other hand, is more for oral health emergencies and to correct dental problems that can affect your overall health. For example, it may provide coverage for dental implants or root canal therapy. 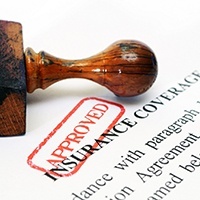 In some cases, there is crossover between what dental insurance covers and what medical insurance covers. You’ll need to check the specific details of both your medical and dental policies to discover how your insurance applies to your unique oral health needs. Whether our practice is in-network with your policy or not, our team will be happy to help you understand and take advantage of your dental benefits. When you visit an in-network dentist or prosthodontist in Allen, you are going to a practice that has already negotiated the fees for specific services with your insurance company. This arrangement passes savings onto both you and your benefits provider. Coverage rates also tend to be a bit higher at in-network offices. Our office is also in-network with Medicaid. We have many adult Medicaid patients and are glad to work within the scope of that coverage to help our patients achieve healthy, functional smiles! The beautiful thing about PPO dental insurance is that it allows you to visit any licensed dentist, even ones that are not in your network. Our team welcomes out of network patients and will happily help you navigate your coverage and file your claims. You’ll still get to enjoy a significant discount on services at a dentist you know and trust! If you’re ready to put your insurance to work at Advanced Dental Care, get in touch with us to request an appointment today.